Our rosewood came to us from a company who makes musical instruments. 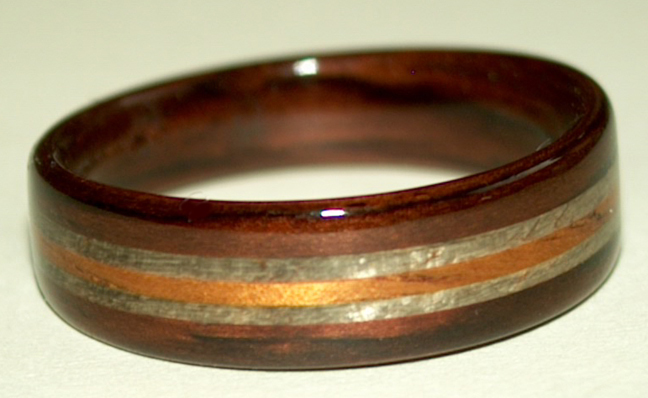 This striking rosewood ring was designed by Kate as a belated birthday present for her sweetie. 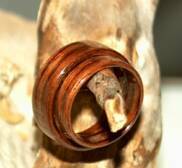 It is 7mm wide tapered to 5mm. 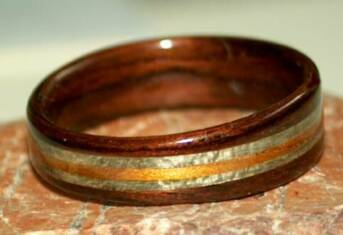 The 3 bands are each 1mm wide.